Girl, I get it. You're having a bad day and it feels like the road is much longer than you'd like it to be. 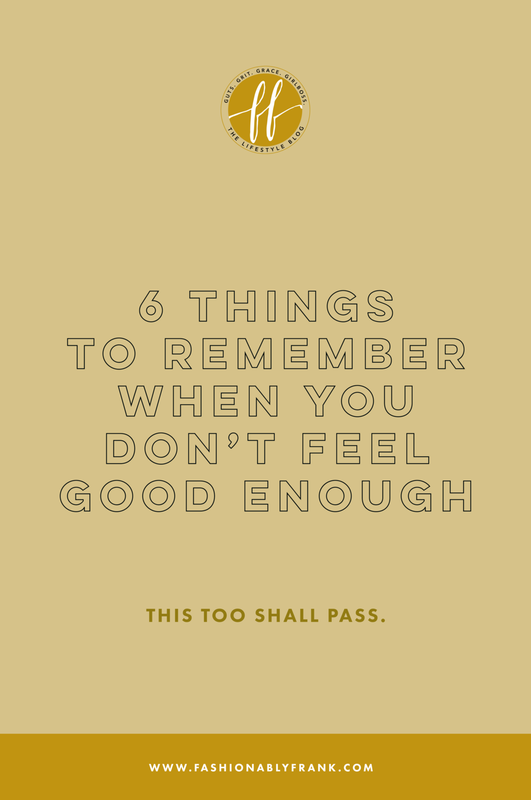 But there's a few things to remember when you don't feel good enough. A bad day isn't the worst thing ever - we must be persistent and press on! This is the hardest one for me. I'm guilty of the comparison syndrome when comparing my worth to others - which I absolutely 100% should not do - I know! Sometimes it's easier for us all to doubt. To tear ourselves apart. To psychoanalyze every little detail about ourselves. I know it's quicker for me to make excuses as to why something in my life panned out a certain way, so long as I blame it on someone else's success. We all do this. It's important that we tell ourselves: there's no one else quite like us. With all our unique traits, interests and talents. No one else has quite the same personality and quite the same drive, soul and spirit. We are a unique combination of our individual features. We all need to share our story. I'm tellin' you, girl. This is the common thread that has kept me a hopeful person over my 23 years on this planet thus far. I firmly believe, without a doubt, that everything - good or bad - happens for a reason. If you didn't get that job, didn't get that house, didn't make it work with that guy or girl, it was all by design. Looking back on experiences, I know why things happened the way they did. I know why I left that school, why I didn't get that job, why I suddenly had the guts to do this other thing - I totally get it now. If you can take a step back and rationalize the experience, remind yourself that everything happens for a reason and there is a greater plan for you. Similarly to everything happening for a reason, you're right where you need to and should be. You are a powerful woman who can do such good, beautiful, necessary things, but you have to go through this rough patch first. Trust the journey! Do you believe that you were put here on earth for a reason? I believe every single individual on this planet has a purpose and was designed for a greater purpose. Whether you believe in God or not, the universe designed you for great things. Using the unique combination of traits stated earlier, you will create productive, worthwhile and meaningful works of art - no matter how you choose to serve people in your daily life. 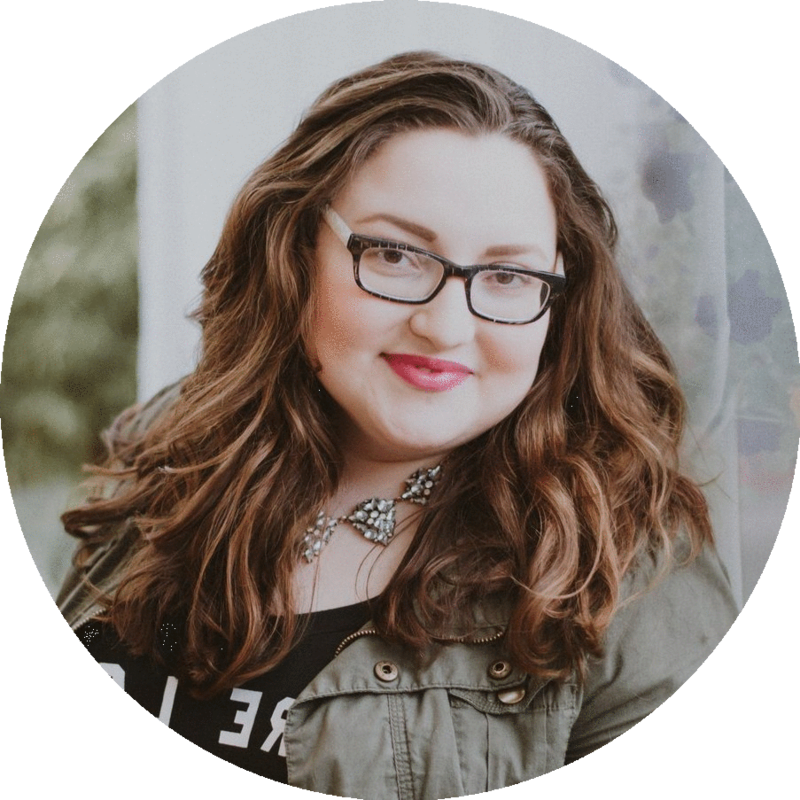 One of the biggest issues I deal with is imposter syndrome - especially as a business owner. I often find myself thinking, "Well, why would they hire me for that? It's so easy..." It's only easy for me because I've been trained in it and have done it for a decade of my lifetime. What I do easily is not easy for others and I am SO capable of making a positive change in others' lives. You are too, babe. Let's not forget this last but not least point. There are people who just absolutely adore you and can't wait to see you succeed, girl! Remember them whenever you're having a bad day and don't feel like you have what it takes. Confide in your mom, your best friend, your mentor. There are people who want to see you win at this game we call life - and win big. What is something you tell yourself when you're having a bad day? Share a little pep talk for other gals in the comments!